Be the first to hear about their new releases and deals. Download the Booksprout app and search for Juniper Hart today! 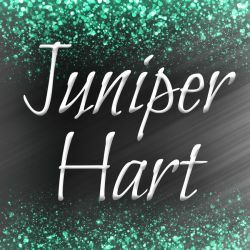 Juniper Hart is a romance writer from the Midwest, who loves telling the insta-love tales of werewolves, dragons, and other paranormal heroes. She specializes in sweet and short alpha romances that always promise a happily ever after. Juniper resides in Miami, Florida with her husband and rambunctious blue-eyed son.